CAFE Foundation Blog - Page 2 of 123 - Information and discussion from the Comparative Aircraft Flight Efficiency (CAFE) Foundation. Over the years reporting on battery developments, we’ve seen paper batteries, spray-on batteries, structural batteries and many types of material mixes. Drexel University has tossed all the above intone big hopper and come up with MXene, a potentially dynamic way of making batteries, supercapacitors, antennas, and structural elements that can be conductors, semiconductors, and insulators, among myriad applications. MXenes are formed from layered MAX phases, defined by Drexel as forming, “A large family of ternary(composed of three) carbides with the general formula Mn+1AXn, where n = 1–3, M is an early transition metal, A is an A-group element (mostly IIIA and IVA), and X is C and/or N:” That level of chemistry is two quantum leaps above your editor’s pay grade, so you’ll have to work out the implications for yourself. Or, you can read the more understandable explanation in this link. You can see Dr. Gogotsi’s recent presentation in Spain below. This could expand the charge-to-charge life of cell phones and electric cars by as much as 40 percent, according to researchers from Drexel and Trinity College in Ireland. 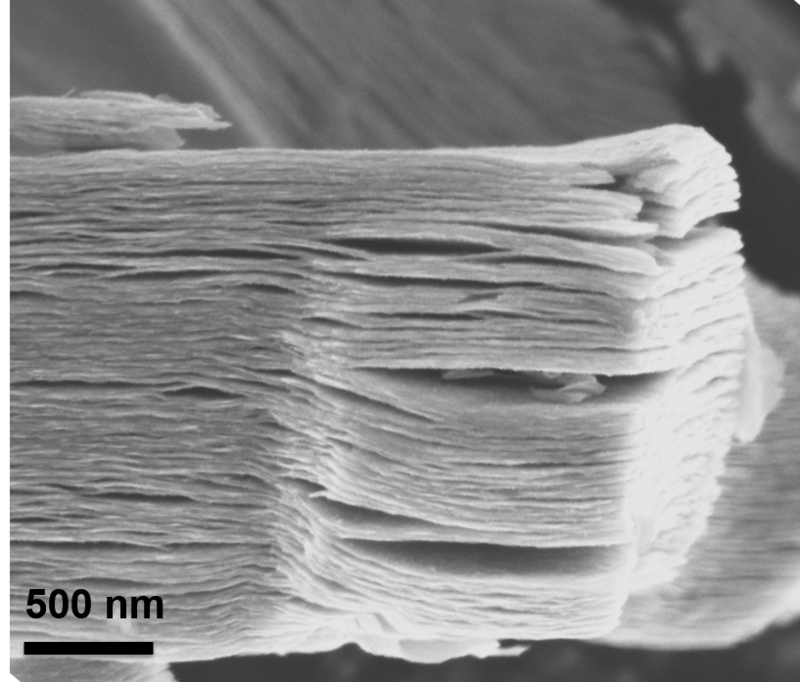 “Silicon anodes are projected to replace graphite anodes in Li-ion batteries with a huge impact on the amount of energy stored,” said Dr. Gogotsi, who was a co-author of the research. “We’ve discovered adding MXene materials to the silicon anodes can stabilize them enough to actually be used in batteries.” Lead author Chuanfang (John) Zhang from Trinity College, Ireland submitted the paper, “High capacity silicon anodes enabled by MXene viscous aqueous ink,” to Nature Communications, where it was published on February 20, 2019. Displayed this week at the Geneva Auto Show, Goodyear’s new AERO wheel is not just rolling stock, but a possible aeronautical device that could propel a “flying car” skyward. 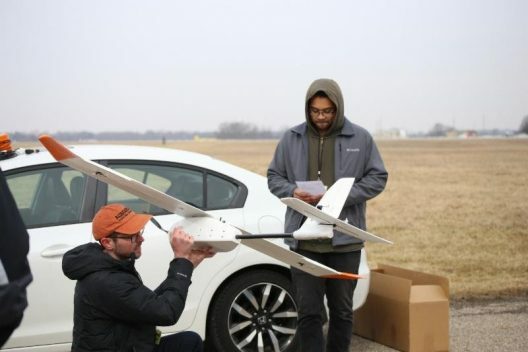 Not only could it roll along the freeway, it could navigate the vehicle and choose whether to be in highway or aerial mode. 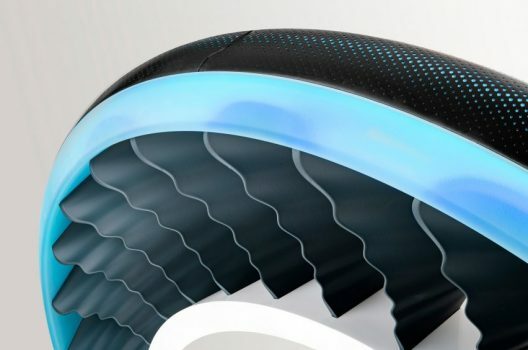 These smart tires could have some problems, though, that could negate their aerial potential, according to some critics. Goodyear promotes five functions the “purely conceptual” AERO wheel can accomplish. Its multimodal design would enable the wheel to serve as a road-based drive train, absorbing forces from the road in a vertical orientation and act as a lifting propulsor in horizontal orientation. Its non-pneumatic structure’s spokes would provide support as a wheel and act as fan blades when the tire is tilted. This would require an ability to support the vehicle’s weight in several planes and absorb shocks when on the road. Goodyear says the wheel would be driven by magnetic propulsion, presumably like a hub motor. The AERO would use light-based, fiber optic sensors to monitor road conditions, tire wear and the structural integrity of the tire itself. This is the first smart wheel your editor has encountered, the AERO wheel featuring an embedded artificial intelligence processor that would use data from the vehicle’s on-board sensors and from external vehicle-to-vehicle and vehicle-to-infrastructure communication. The A.I. processor would select routes and choose whether the vehicle would roll or fly – a no-brainer for most pilots. Serrated rims might reduce noise from fast-spinning wheel/rotor. Will these be the loudest things on the road or in the sky? Autoblog notes the technical cleverness of the design and concludes, “Bring on Elysium already.” How this level of luxury will be made available to all is probably a moot question. Economists suggest we might all have to settle for a little less for everyone to have enough – but in the current political atmosphere, that might smack of socialism and not economic reality. NBC explains that the AERO is not Goodyear’s first foray into radical tire design. In recent years the company has developed concepts for an electricity-generating tire and a spherical tire capable of rolling in all directions. Whether the AERO of other Goodyear designs end up driving us or flying us to our future destinations remains to be seen. Innovations usually come hard, but we encourage them for making us break from the obvious and hackneyed. Metro Hop™ is an electric, conventional fixed wing, all-weather aircraft designed to operate within the urban air mobility environment, according to their web site. Metro Hop is a unique view from the leaders of the CAFE Foundation, which is often allied with the Vertical Flight Society. Metro Hop’s fixed-wing approach seems to fly in the face of the team’s normal affiliations. 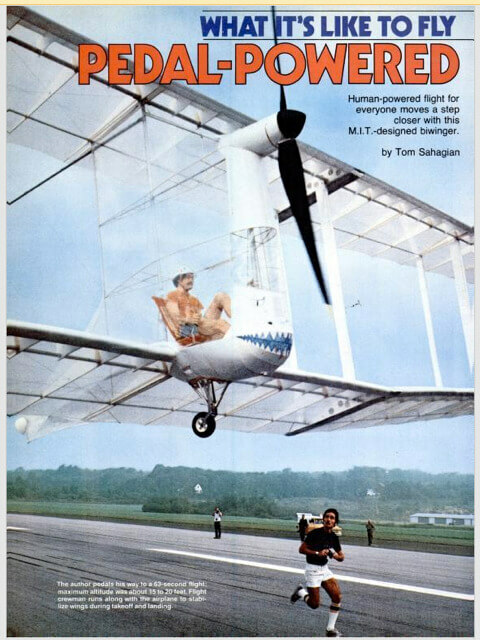 The Sustainable Aviation Foundation was established as a proponent of fixed-wing design by President Brien Seeley, and promotes “pocket airparks,” small urban and suburban airports that would distribute availability of short-range aircraft within walking or cycling distance for many urban dwellers. CAFE would distribute spaces similar to heliports on rooftops or on specialized buildings such as those envisioned by Uber as part of its LIFT program. Metro Hop, according to the development group, would cruise at 400 kilometers per hour (250 mph) and carry two passengers. Using current battery technology, it would have a 160 kilometer (100 mile) range, enough for in-city hops in the largest urban areas. It near-silent operations would be imperceptible against the normal city background noise, allowing day and night operation. Its spring-loaded landing gear will keep passengers from bouncing around on takeoff and landing, even though it provides a bounce on departure. Powered wheels will enable climbs and descents from and to the service area below the landing platform, although passengers might find the squeamish part of the flight is the descent from the landing platform. According to Metro Hop, “Urban air mobility means a safe, efficient, community-accepted method of moving people and cargo via aircraft within cities.” The firm will attempt to operate out of its own unique Skyport stations on or near “prime urban locations,” providing the mobility that ground transport often fails to deliver. Metro Hop uses not only existing battery technology, but follows a “well-known flight envelope, and a clear path to certification,” according to company leaders. Their hope is that it would make a trillion-dollar industry possible, operate on $39 fares and make itself “a commonplace tool for any business, large or small. He went on to found AVEC Scientific Design, specializing in disposables for operating rooms, and has a medical device for children with spinal cord injuring awaiting FDA approval. He even designed the world’s lightest and stiffest bicycle crankset, which helped Lisa Vetterlein set a woman’s human powered vehicle land speed record of 66.65 mph. Whether we will see hundreds of Metro Hops wending their way over the skies of San Francisco will depend, as all great ideas do these days, on finding venture capitalists willing to back the enterprise. Click on image to see video of MIT’s first flights. Krauss responded to questions from your editor about whether a larger (say, person carrying)ionic propulsion lifting device could be powered by similar means. “It is simply not correct to imply that lightweight lifters could carry their power supplies. The whole point is to be able to carry a power supply using ion propulsion. The power to weight ratio was 3 orders of magnitude too low. A larger heavier ion propelled device than MIT’s was flown in 2003 with an external power supply though. The patent, provides details of how Krauss’s machine is constructed and how it works. “In accordance with an aspect of the present invention, a self-contained ion powered aircraft assembly is provided. The aircraft assembly includes a collector assembly, an emitter assembly, and a control circuit operatively connected to at least the emitter and collector assemblies and comprising a power supply configured to provide voltage to the emitter and collector assemblies. 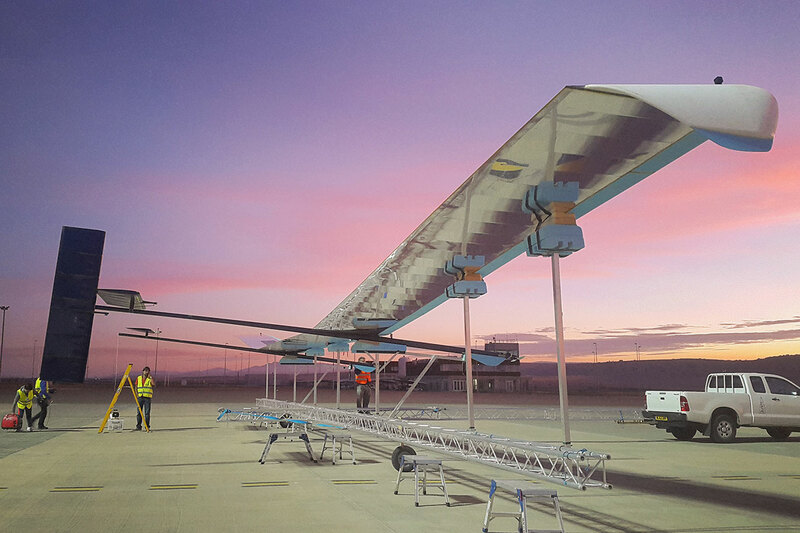 The assembly is configured, such that, when the voltage is provided, the self contained ion powered aircraft provides sufficient thrust to lift each of the collector assembly, the emitter assembly, and the control circuit against gravity. “In accordance with another aspect of the present invention, an ion powered aircraft assembly includes a collector assembly comprising at least three substantially concentric conductive elements, an emitter assembly, and a control circuit operatively connected to at least the emitter and collector assemblies and comprising a power supply to provide voltage to the emitter and collector assemblies. A basic device, powered by an external source, can be assembled from balsa wood and aluminized Mylar film. These have been floating around in laboratories for several years, and are realizable for an enthusiast. Skip the first minute or so, but then this video gets down to business. These demonstrations illuminate a reality that ionic propulsion devices can fly, but questions remain as to whether these craft can be made into practical people or cargo carriers. As they grow large enough and carry enough voltage and amperage to lift more substantial loads, will there be a substantial danger in their passage? Things at such light weight and high voltages seem dicey at best. TechtheLead.com reports about MIT’s efforts: “One of the first prototypes of the plane fried itself due to its black coating, as black color contains carbon, which conducts electricity. Those previous prototypes only managed to tumble to the ground seconds after being launched. As teams progress on their different paths, we might see some hope for more practical demonstrations of an interesting technology here on earth, rather than in propelling payloads toward Andromeda. 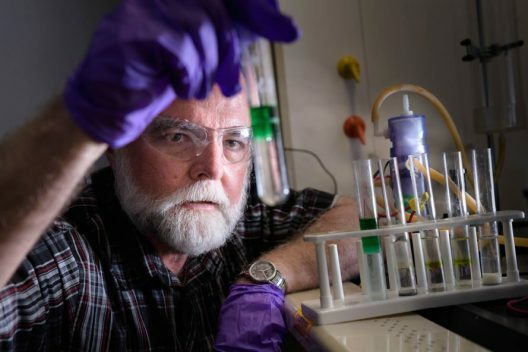 Promising enough to catch NBC’s attention, new flow battery technology from Purdue University promises quick refueling and up to 3,000 miles range in the electric car of the future. If volumetric and gravimetric factors can be brought into line, this could be a useful energy storage medium for future aircraft. John Cushman, Purdue University distinguished professor of earth, atmospheric and planetary sciences and a professor of mathematics and partner Eric Nauman, professor in mechanical engineering, biomedical engineering, and in basic medical sciences, co-founded IFBattery Inc. The pair developed a “safe and affordable” patented technology that requires replacing fluids in their battery every 300 miles, and then swapping the anode material every 3,000 miles “taking less time than is needed to do and oil change” and costing about $65. This calculates to about 2.167 cents per mile, considerably less than the 11 cents per mile your editor’s small econobox requires just for fuel. Because the single-fluid technology does not use a membrane or separator, and oxidizes the anode to produce electrons, and reduces the fluid at the cathode, it generates current to power vehicles. The oxidant is a macro-molecule that lives in the electrolyte, but is reduced only at the cathode. One hopes that this battery can be sized for practical vehicular use and that the costs of converting existing gas stations will not prevent its expansion into real-world use. Refills at 300 miles and changing out electrodes at 3,000 miles is not an onerous cost for clean operation. It reminds your editor of refills of his car, back in the day, and swapping out points and plugs. Younger drivers might look up that maintenance necessity in old maintenance manuals. Established in 2014 by Ordnance Survey and private investors to develop and commercialize the UK’s first commercial sub-orbital Earth Observation High-Altitude Pseudo Satellites (HAPS), Astigan is both the aircraft company and product of that partnership with OS. Ordnance Survey produces maps for private, government and business users, including pre-printed print maps and custom charts downloadable to PCs or mobile devices. These can be as elaborate as items containing “fly-throughs” of requested routes for hiking, biking, driving or even flying trips. 3D modeling enables users to visualize the terrain and essential elements before committing to a flight. To enable accurate mapping and application development, the team has created a 38-meter (124.7 feet) wingspan, twin-motor high-altitude, very light machine that will not only chart the landscape, but provide data for environmental, analysis of changes in the geospatial landscape, monitor agricultural factors such as soil erosion or crop yield, provide a communication link in remote areas and in disaster emergencies, and enable real-time surveillance of borders (an aerial “wall”?). It can remain aloft for 90 days at a time, its batteries recharged by a full span of solar cells. Design for the High Altitude Long Endurance (HALE) vehicle, completed in July 2014, led to prototype construction and testing completing in March, 2015; with low altitude flight testing done in 2016 and high altitude trials completed by 2019. The project’s aim is to develop a UK designed and manufactured, cost-effective and reusable vehicle which could carry scientific instruments, cameras and telecommunications equipment above the majority of the Earth’s atmosphere. And, for the platform to perform many of the tasks of satellites without the cost and risk of having to go into Earth orbit. The platform is expected to be used in mapping; environmental and climate monitoring; natural disaster/hazard early warning and emergency communications networks; precision agriculture; and commercial security, intelligence and border control. The guiding lights for the project are recognized for their expertise and accomplishments, their names sometime festooned with those abbreviations often following names of distinction. Mike Carr, OBE (Order of the British Empire), FREng (Fellow of the Royal Academy of Engineering) serves as Chairman for the company and on several innovation and engineering boards. Brian Jones OBE, DSc (Doctor of Science), MA (Master of Arts), Astigan Program Manager and Director on the Astigan Board and currently Managing Director, has worked on various aviation projects during the past 25 years. He flew a balloon around the world in 1999 with Solar Impulse pilot Bertrand Piccard. His books about that flight were in the top ten of several international best seller lists. Neil Ackroyd is acting CEO for Ordnance Survey, and wrote the first book on the application of GPS, published in 1990. The two other directors, Clive Mosey and John Bowman, are Chartered Accountants – a bit like Certified Public Accountants in America – with broad experience in the publishing industry. 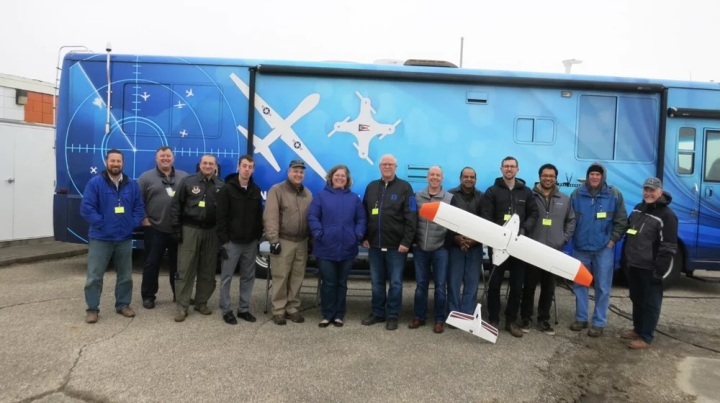 With history, leadership, and a great range of products, Astigans may soon be flying over this former colony, downloading information with a British accent. As with many recent partnerships, the alliance between Polyplus and SK provides “muscle” for the smaller partner. Polyplus, with 18 bay area employees, will benefit from the far more sizable SK’s financial and managerial expertise. Between the two firms Polyplus’ 135 issued and 40 pending patents should receive proper support. The partnership hopes to build batteries with increased volumetric and gravimetric density while increasing cycle life. Polyplus has been relatively silent since winning praise from Time Magazine in 2011 as one of the year’s 50 Best Inventions for its protected lithium electrode (PLE) and recognition from the Edison Committee with a Gold Edison Award in 2012. That electrode is still a part of Polyplus’ basic design in its lithium-sulfur, lithium-air, and lithium water batteries. Patented in 2000, the glass protection now encapsulates a pure lithium metal electrode (since 2017). 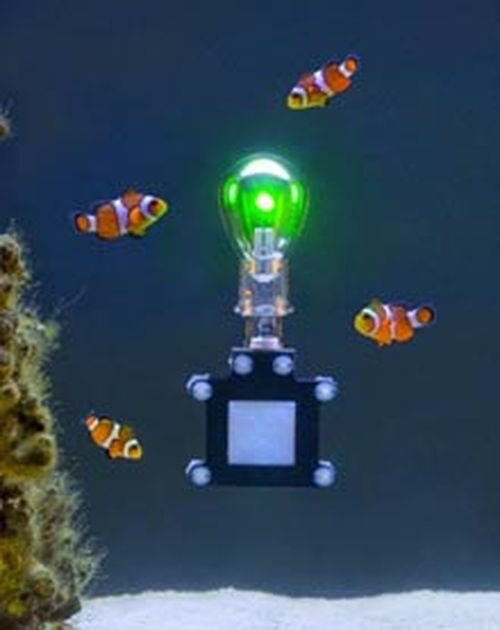 As shown in many of their publicity photos and the video below, the glass coating protects the pure lithium, which would flare up if brought into contact with water. 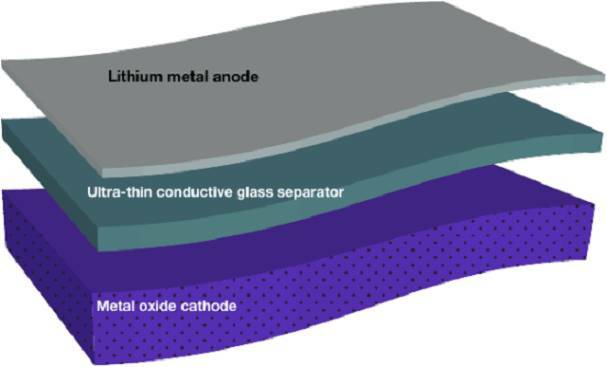 Working with SCHOTT Glass, Polyplus “laminated lithium metal foil to thin solid electrolyte membranes that are highly conductive.” The “nearly flawless” film glass helps to protect against dendrite growth that would otherwise penetrate and short the cells. With a new partnership and if Polyplus succeeds in fulfilling the ARPA-E criteria, the small battery company may face a bright and productive future. *Well, perhaps 5X the 260 Wh/kg reported by Bye Aerospace with their EPS modules. It will be interesting to see a module-to-module, battery pack-to-battery pack comparison. Even so, Polyplus seems to have achieved a noteworthy output.